Pretty yet unpretentious and large enough for the biggest evergreen Christmas tree on the lot. 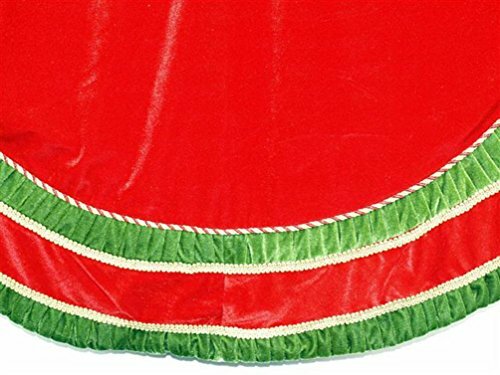 This 72-inch red and green velvet tree skirt features an elegant scroll braid accent with ric-rac trim. No matter what your holiday decor theme may be, this red and green velvet 72-inch tree skirt will be a perfect addition.